Every third Thursday of November my herd gets together and we jam out to a variety of classic Michael Jackson tunes. My brother, Donkey Breath, can’t get enough Thriller; Pretty cliché, right? I’m always telling Breath he needs to dig a little further into The King of Pop’s repertoire. I myself prefer The Gloved One’s early years with The Jackson 5. 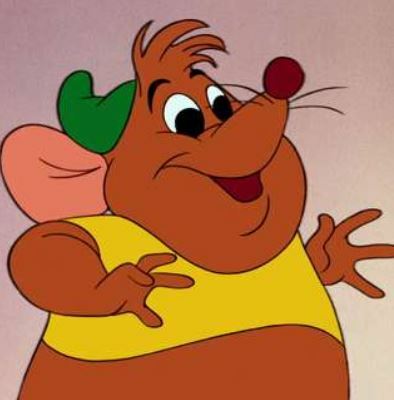 Gus Edwards – Edwards reminds me of another Gus; remember that chubby mouse from Cinderella? Truth be told, Edwards didn’t look chubby Sunday but he’s a big boy listed at 238 lbs. I venture he’s shed a few pounds since that weigh-in. Sneaking thru the hole in Harbaugh’s office wall, Gus Gus suddenly seems to be the lead rodent in the Baltimore backfield with a very friendly schedule down the stretch. Add him up everywhere and hope he never turns back into a pumpkin. Josh Adams – Another unknown running back until a few weeks ago. While at first I thought he was a country singer, we know now he’s actually the lead back in a good offense. I don’t care whether he sings about pick up trucks and blue jeans, he needs to be owned. Rashaad Penny – I’ve discussed Penny before, he’s still more of a speculative add with Chris Carson returning with a nice week 11. That said, Penny is the most talented Seahawks RB and his role should continue to grow. Just be warned, what should happen isn’t always what does happen with Petey Sunshine at the helm. Dalvin Cook – It’s been a nightmare season for Dalvin’s owners. I do think he’s finally healthy and you have to give him a week 11 pass, nobody runs on DA BEARS! His owner has to be fed up with what The Cook’s been serving. If you can still trade in your league, simmer up an offer. Look for RB2 numbers the rest of the way. Josh Reynolds – JRey was featured heavily in the arena football game last night on ESPN. I’ll be honest, I was skeptical whether Reynolds would fully absorb Cooper Kupp’s targets, but early results point towards yes. This Rams offense is unstoppable, grab Reynolds anywhere he’s still available. Calvin Ridley – Believe it or not, this could be your last chance to buy Ridley. He faces off against a very porous Saints pass defense on Thanksgiving and he’s coming off a long string of mostly lackluster games since his early season eruption. Make sure he wasn’t dropped in your league, Calvin’s a great start his week if you can acquire him. I’ve already recommended almost every other rookie wide receiver in the league and I’m still buying them in this order: DJ Moore, Tre’Quan Smith, Marquez Valdes-Scantling, Calvin Ridley, Courtland Sutton, Keke Coutee, Christian Kirk. Yes, I love young dudes and no, I would never insert a Michael Jackson joke here. Adrian Peterson – All Day is having an incredible bounce back season after most wrote him off. I have minor concerns about whether Peterson can hold up for a full season at his age, but my bigger concern is the Redskins offense as a whole in the wake of Alex Smith’s leg snapping like a stick over AP’s child’s behind. Mark Ingram – Marknado is coming off back-to-back huge games. I think he’ll put up RB2 numbers moving forward, so I wouldn’t sell him for a pair of Tito Jackson’s underwear, but if you can package him for a low end RB1 then go get it. 12 team PPR. better off holding royce here or nabbing l-jax QB as backup. weekly waivers and i’m the 5th best team so i never have a good waiver. won’t get gus the bus, will try of course dropping moncrief, and moncrief is easy drop for l-jax in case i do somehow get gus. 6 pt TD throws here. royce could also be dropped for a WR but the ones out there aren’t great and i only need to start 2 of them here with good RB depth. brate also an option. so it’s really about royce holding or not for these guys, moncrief sounds easy drop, JAX just lost an O-Line guy and with fournette back they’ll go back to bortles not throwing any more, plus with the byes over i doubt i’d ever really start moncrief over any of jeffery/k.allen/kirk/shepard anyway, even if 2 of them got hurt. @Cheese Eating Surrender Monkey: Yes, definitely think you can ditch Royce. I’d even consider prioritizing Brate over LJax, I think he’s a decent upgrade over Doyle now that Howard’s on IR. @Donkey Teeth: yeah brate’s stock only really (for our purposes) goes up a bit for 5 weeks, cook’s should remain steady into next year. and i’m not willing to give up any RB/WR to have both at all here. Need to get a running back before the deadline. I’m trying to trade for Nick Chubb and they want Jordan Howard plus one of my wide receivers. I am very strong at WR, I have Julio, Thielen, TY, Keenan Allen, and AJ Green. Would any of those plus Howard not be massively overvalued for Chubb? It’s standard scoring.